Location: Boston, Massachusetts | Browse the most current Suzuki Samurai ads below. These are the ten most recent Samurais listed for sale. If available, use the page navigation below for more listings. 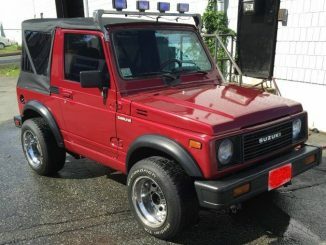 Selling my 87 Samurai. 5speed. Have 2 extra set of rims. Have the stock samurai rims painted black with no tires. Serious buyers only. No trades! Cash only!